Scammers are creating Facebook profiles in the name the popular American TV-show star Ellen DeGeneres. The bogus messages urge fans to like and share posts to win money, gift cards, or even cars. The fake profiles claim that Ellen started a competition and there are only a few steps to enter the giveaway where 20, 100 or even more lucky ones can win. To increase the appeal to users, hackers include pictures of Ellen herself standing next to a car or holding VISA cards and prizes. Additionally, some profiles include short clips from of the real giveaway held on her show. The TV host often does these giveaways on her talk show and hosts charity events or gives money for those who are less fortunate. 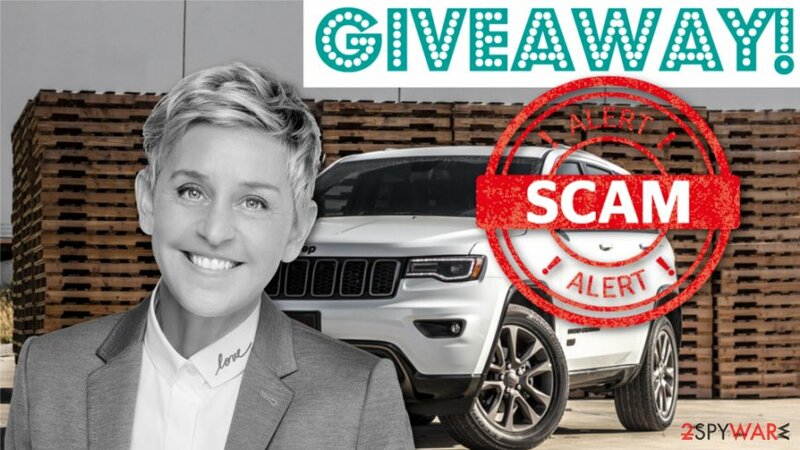 With the power of photo and video editing, scammers managed to make these videos look like Ellen is giving away many things for her viewers on social media. There are several different variants of the scam, but most of them prompt users liking and sharing the Facebook post, claiming that it is the only thing people need to do to enter the contest. This is yet another similar campaign involving the particular celebrity and fake giveaways. The primary aim of these scams is to build a large follower base on the Facebook social media platform to collect likes and shares and redirect to third-party pages or accounts. As soon as the goal is accomplished, such profiles with a massive count of likes can be sold for anyone willing to pay what crooks ask for. All the videos with announcements and photos where Ellen has prizes in her hands make the lottery believable and genuine-looking. However, the TV host is not talking about the fake giveaway. Nevertheless, people still share these posts and enter the fake giveaway. In some cases, hyperlinks are included in the fake posts, and messages encourage users visiting another website or even download a movie or read an article. In most cases, the redirect users face sites that are filled with advertisements, hyperlinks, questionable commercial content, and other suspicious material. While going through a tunnel of pop-ups and redirects, users might end up on malicious domains, and this activity may lead to the installation of more severe cyber threats than this scam. Seeing the name of a well-known celebrity on social media or a direct message from them rarely raises questions if the person is especially famous and lovable. However, when people reveal their information directly to the scammer behind the account or register to a fake giveaway or a lottery, this information can get used to promote other scams in the future. Focusing the scam on the celebrity is a smart idea that malicious actors use because people may not think this is a bait. Various social media profiles with the same name and messages can create more traffic and collect information, which in most cases is the primary goal. However, the most important thing to remember is that social media giants employ moderators and admins who confirm the legitimacy of the profile, especially when it comes to celebrities. Every official account that is verified by moderators will have a blue badge near the name of a celebrity, so make sure to check if the account is real or just a hoax created by crooks to gain money in malicious ways. ^ David Mikkelson. Is Ellen DeGeneres holding a Fecbook giveaway?. Snopes. Fact-checking site. ^ Maarten Schenk. Fake news: Ellen DeGeneres NOT giving away gift cards, cash, car or home to people liking & sharing Facebook post. Leadstories. Hoax-alert stories. ^ Facebook survey trend exposing answers to security questions. Kxii. Breaking news. ^ Ari Lazarus. Scammers impersonate celebrities on social media. Consumer. America's consumer protection agency. ^ Melanie Lockert. How hackers use your information for identity theft. Creditkarma. 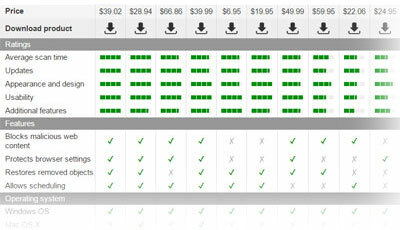 Personal finance company. This entry was posted on 2019-04-16 at 08:15 and is filed under News, Security.